Demilune's scented candles combines traditional craftsmanship, purest ingredients and environmental consciousness. Hand-poured produced in the US, our candles are meticulously made of the highest quality of premium soy blend and essential oil based fragrances - all our fragrances are phthalate free, IFRA approved. For your peace of mind, Demilune's candles are completed with untreated cotton, lead & zinc-free wicks. Our classic vessels are crafted of 100% recycled glass. Each vessel is mouth blown and hand shaped by skilled artisans. These beautiful glasses can be re-purposed food and dishwasher safe and are lead-free. 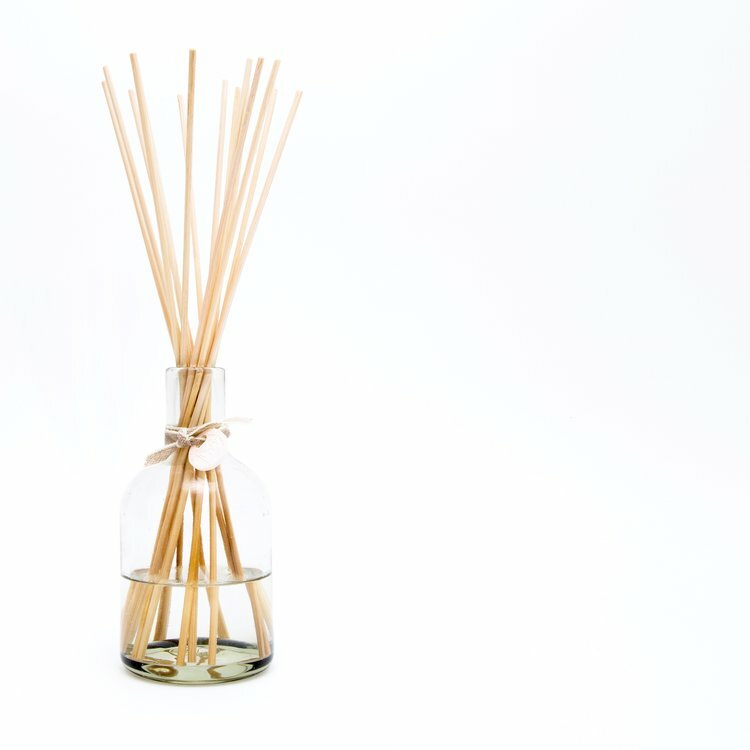 Our elegant Reed Diffusers are carefully crafted with the highest quality fragrance oils and are designed to continuously fill any space with a lush, memorable fragrance. The alcohol-free formula releases fragrance slowly and evenly into the air for approximately 180 days. Our reed diffuser vessels are crafted of 100% recycled glass. Each vessel is mouth blown and hand shaped by skilled artisans. These beautiful bottles can be re-purposed - food and dishwasher safe and are lead-free. An intoxicating fragrance of pine and winter woods. Northland has been harmonized with frosted pine & cypress...all fused with a light veil of fir balsam. Phthalate free. Onto the Summer Sea with this light and breezy fragrance. Offering aquatic notes leading to base notes of melon and violet. Phthalate free. Capture the spirit of the holidays with this enchanting scent. This fragrance oil is infused with natural cedar-wood and pine essential oils. Phthalate free. A welcoming and captivating fragrance. Our Belgian Linen combines warm woods soothed with vanilla, herbal tea and creamy sandalwood. Phthalate free. For the citrus connoisseur...a fresh blood orange fragrance, with green undertones. Our delectable blend combines full-bodies notes of grapefruit and bergamot. Phthalate free. Seductive, woodsy fragrance that starts with a light citrus accord which develop into an exotic floral blend of violet and clove. Phthalate free. Our Emperor's Tea fragrance has a touch of jasmine to create a truly luxurious and delicate aroma. This White Tea fragrance oil contains natural essential oils, including Bergamot, Lavender, Mandarin, Thyme and Ylang-Ylang. Phthalate free.